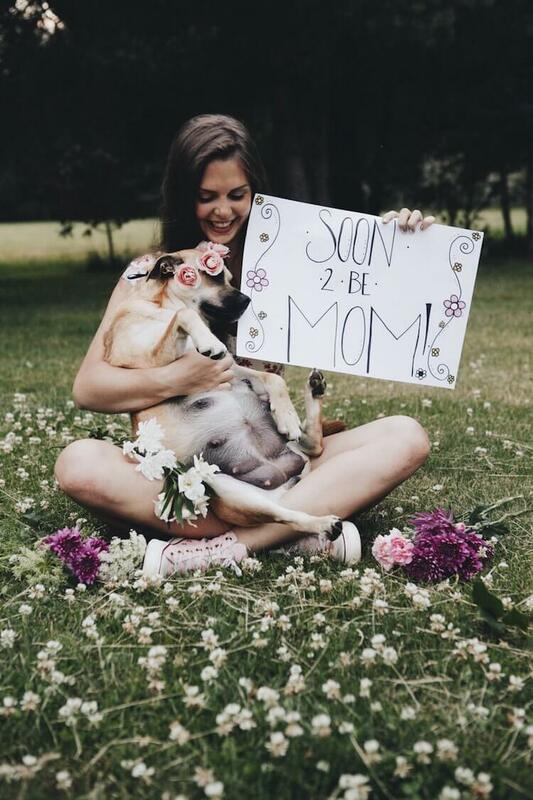 What do you think of maternity photo shootings? They’re cute, aren’t they? It is worth it to spend some energy and money on them because you’ll have them for a lifetime. And you’ll also be able to show to your baby what he looked like before he came to be. 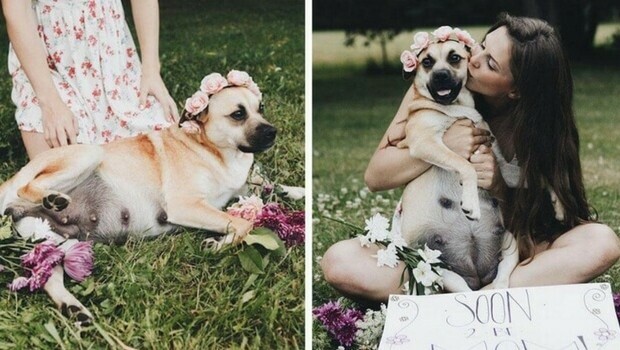 Well, now we are going to show you a very special dog maternity shoot that we think you’re going to love. The mother’s name is Fusee and she will steal your heart with her pre-birth photos. Fusee is a pug mix who is 8 weeks pregnant and very proud of it. Or, at least her owner is. 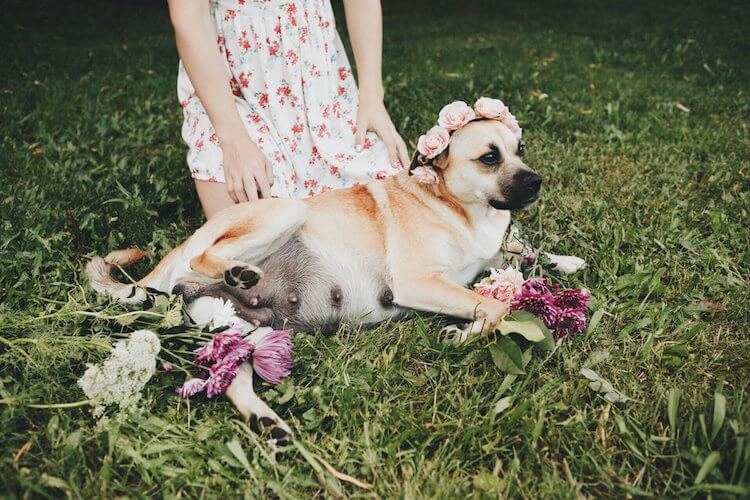 Elsa, the dog’s owner has just shared with the world of Twitter some very cute photos from their maternity photoshoot. 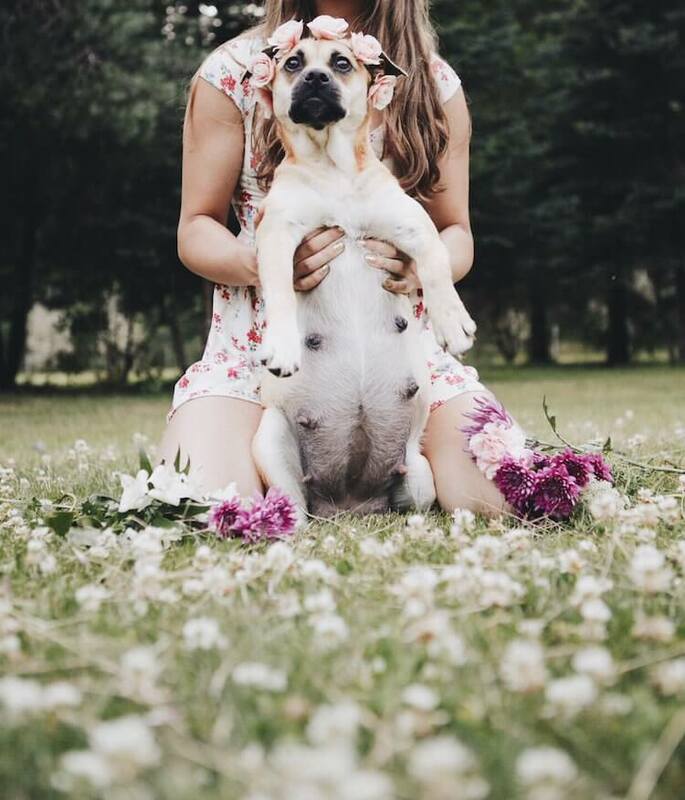 “My bestfriend is 8 weeks pregnant so we decided to do a maternity photo shoot,”she says in the tweet which bring to us a set of four awesome snapshots of Fusee, captured by Elsa’s photographer friend, 19-year-old Clayton Foshaug. 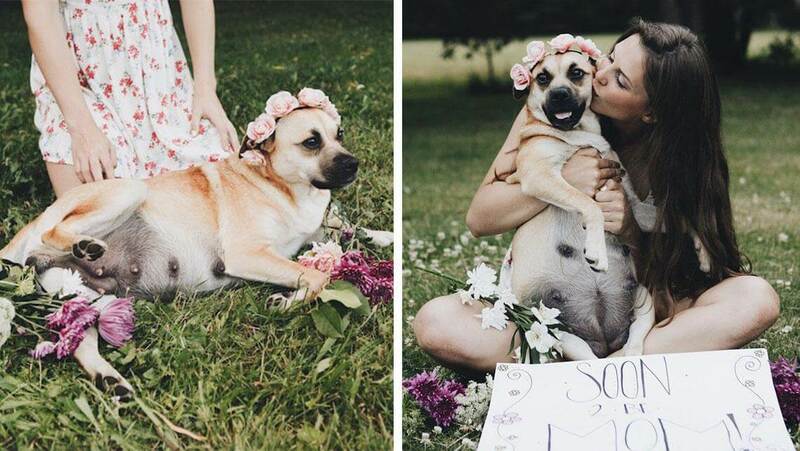 The happy future mother is rocking a very cute rose flower crown as she poses for the camera. 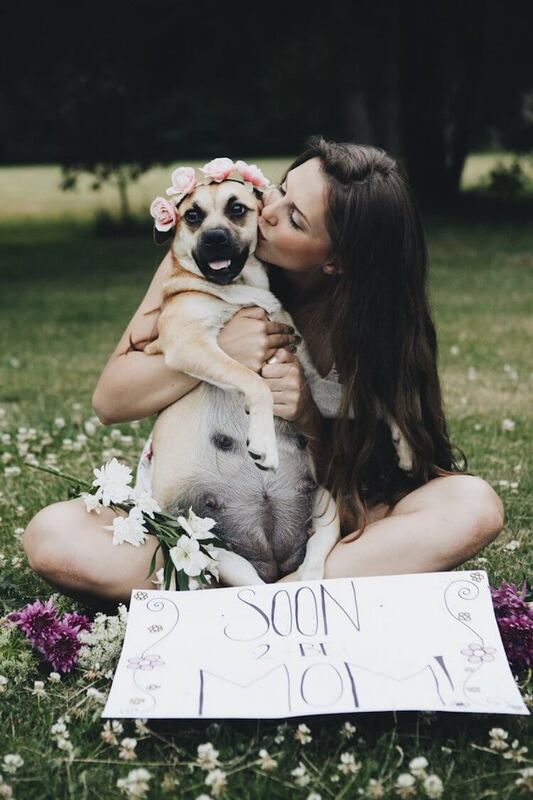 Her owner and best friend, Elsa, holds a sign that reads “Soon 2 Be Mom”. How cute is that? Both mother and her BFF look proud and happy and we couldn’t be either, could we? Update: labor is completed. 8 puppies were made in the making.